>These look incredible!!! 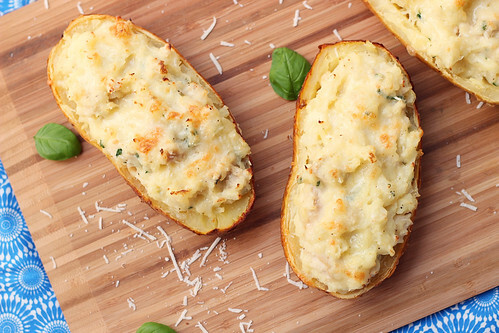 What is it about stuffed baked potatoes? So simple, so good. Love the basil in there, too. These will be made…soon! >These look awesome, I can't wait to try them soon! 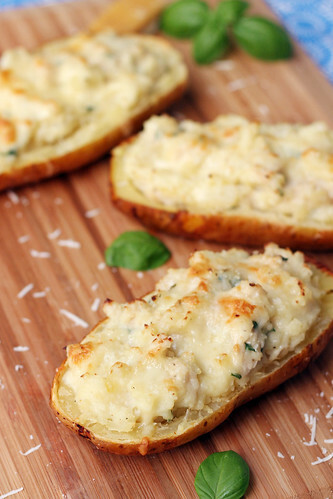 >This is an amazing recipe: original, delicious and beautifully presented! I am very happy I found your blog – love it! I tried out these potatoes tonight and they were SO good. I made a few changes to the way I cooked the potatoes, but the result was the same. I blogged about it here, so check out my pictures: http://ow.ly/j3VXX. LOVE the flavor combination of the lemon and basil. Reminds me of a dish I tried at an English restaurant. Five stars, for sure.